Mamma mia, caprino! 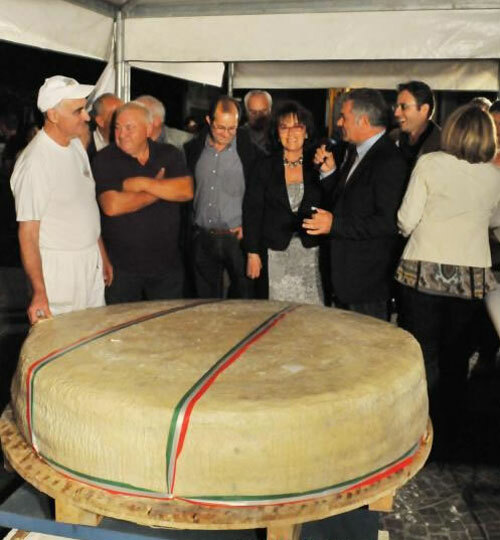 Italians set world record with 535-kg wheel of goat cheese. Cheese makes news every day. That’s why we’ve started collecting links to the most interesting news reports of the week on a special page under the News tab at the top of the blog. Check it whenever you visit CheeseLover.ca. Police patrol unofficial cheese-rolling festival in the U.K. Thanks for the correction! The fix has been made to the caption.